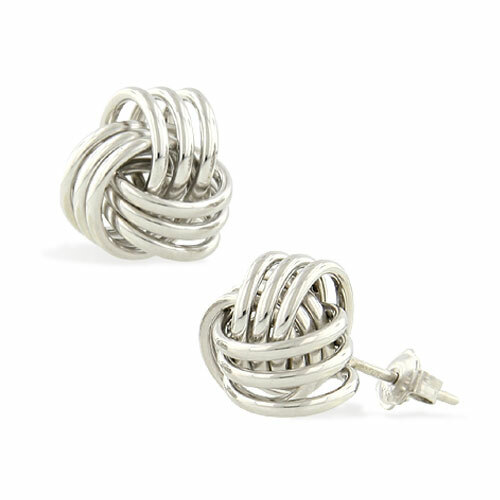 Earrings – I think of them as the finishing touch to your look. They complete your fashion statement. There are earrings for all occasions – the board room, work, casual outings, your wedding, a night on the town, or a day at the beach. 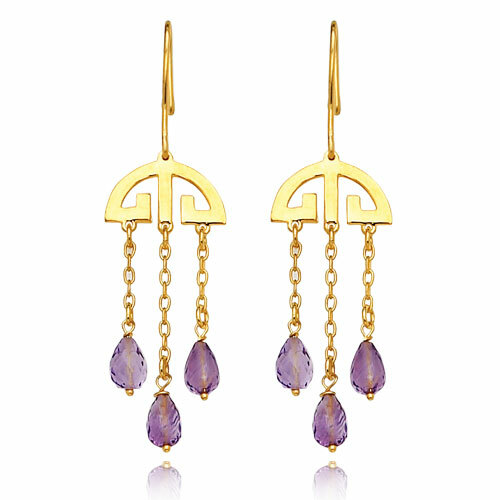 The first pair of earrings has been dated back to 2500 BC. Only the wealth and those of royal lines could afford expensive jewelry back then. 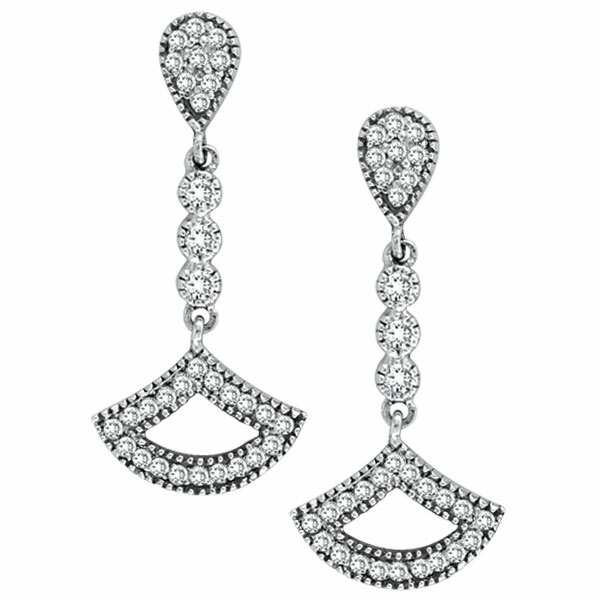 There are all types of earrings – hoop earrings, stud earrings, button earrings, dangle earrings, chandelier earrings, and droplet earrings to name just a few. 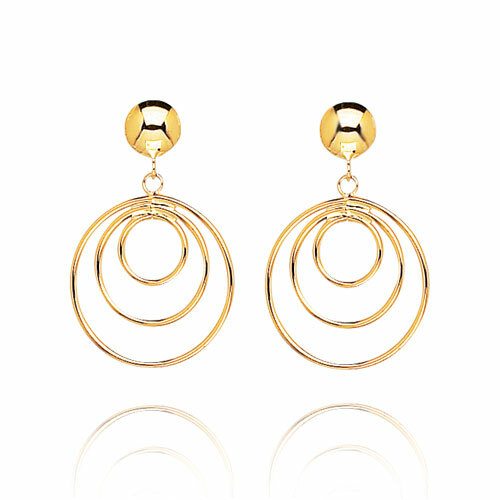 Earrings come in all types of materials and metals. Gold, pearls, silver, plastics, copper, gemstones, diamonds, paste, bakelite, faux stones, or glass. The list goes on and on. The oldest earrings ever unearthed by archaeologists were discovered in Iraq date to about 2,500 BC. Back to 3000 BC there were two types of earrings: the hoop, and the more elaborate pendant. From 1559 B.C. to 1085 B in Egypt earplugs became very fashionable. These type of piercings and earrings are seen even on King Tutankhamen. In the Dark Ages poverty prevailed and metal jewelry sharply declined although designs were preserved for later use. During the Roman Empire wealthy women used earrings to show off their rich status. By the 2nd century AD gemstones such as sapphires, emeralds, and aquamarines were used regularly. During the Byzantine period which ran from 330-1200 AD earrings took a back burner to more elaborate body ornamentation. In the Middle Ages earrings become almost non-existent because of the elaborate hair styles, and headdresses which were ever so popular. During the 16th century in Italy high collars disappeared and hair was being worn up and away from the face, so earrings began to make a comeback. In other parts of the world such as England and France it would be another 100 years or so before the high collars disappeared. As time progressed the design of earrings became much more complex. Around 1660 the girandole earring made its appearance remaining very popular for the next couple of centuries. The girandole earrings were extremely large and heavy because of the metal content [gold or silver] and the amount of gems. Made of 3 pear shaped drops on a hook. The weight was known to cause elongated ear lobes. 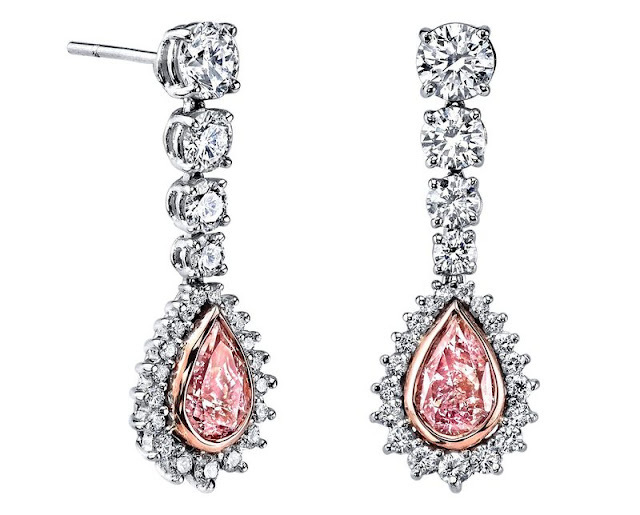 In the latter part of the 18th century the pendeloque earrings became popular. They were longer than the girandole earrings but much lighter. They were the balance for the high hairdos and big wigs that were being worn. During the early 1800, jewelers began to mount gemstones, on an open back claw setting. 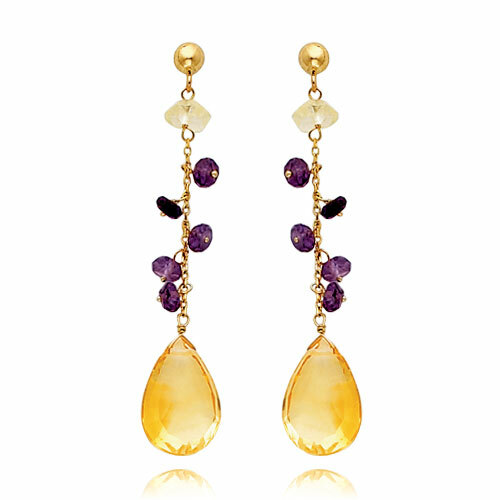 This allowed the light to pass through the gems enhancing their color and brilliance. 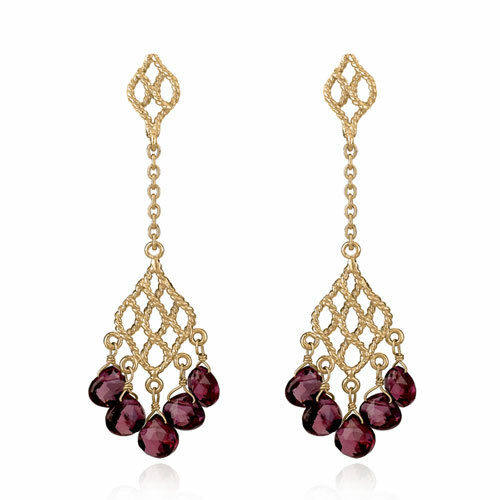 By the 1850s, earrings had once again disappeared from the fashion scene. This was once again a result of changing hairstyles. The new styles that involved wearing the hair gathered in a knot at the back resulted in the ears being totally hidden. As well bonnets had arrived on the scene which also made wearing earrings rather difficult. During the early 20th century screw backs were invented which meant women no longer had to pierce their ears. These became very popular. Some circles even began to believe piercing ones ears was rather barbaric. After WWI shorter hairdos became very popular. Earrings were perfect for filling the space from short hair to shoulder and once again became a popular fashion statement. During the 1920s art deco styles took hold, recognized by their straight or angled designs. Very long chandelier earrings were also quite popular during this time. During the 1930s the clip on was invented. Because clip ons held the earring more snuggly than screw backs they became the number one choice for many years to come. Pierced ears faded into the background. 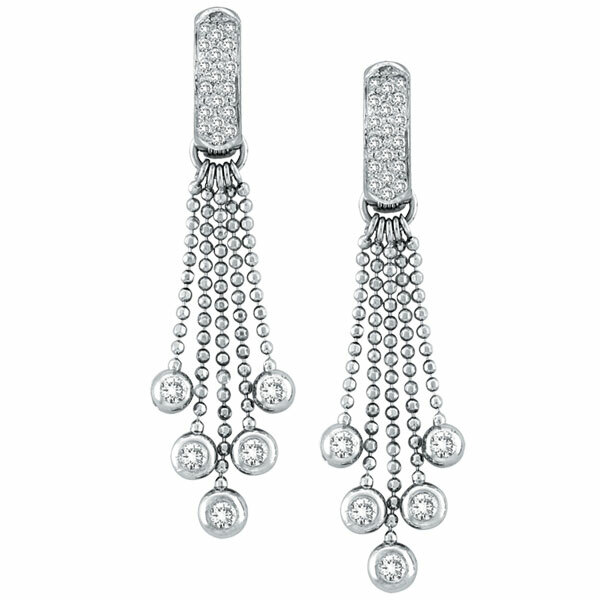 During the 1950s earrings were light and aerodynamic. By the 1960s earrings had become fun and innovative. Texture and color was very important. 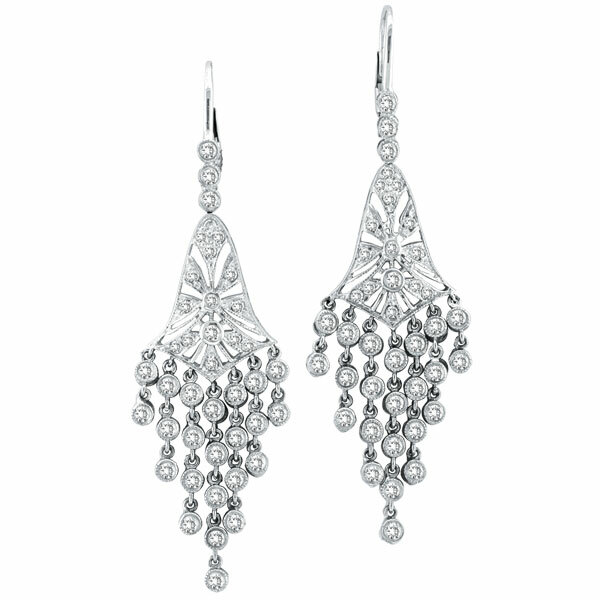 Prior to the 1960s earrings were dedicated to either evening wear or day wear with the evening wear earrings being more elegant. During the 1960s this all changed when the distinction between what was acceptable for evening or day faded away. By the 1970s we had entered an "everything goes" style to earrings and pierced ears had made a comeback. Women were buying earrings in large quantities for every occasion. Today it’s difficult to find someone who doesn’t have pierced ears. 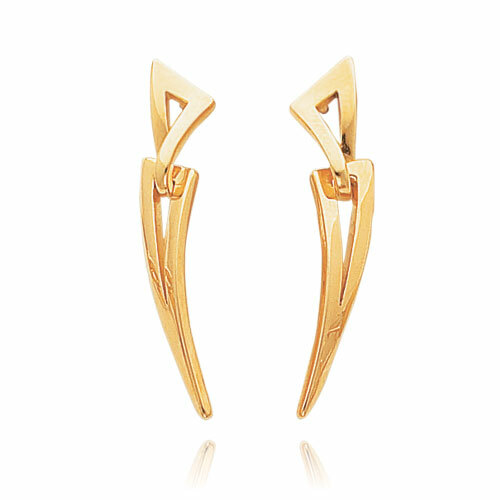 Today men are as interested in earrings as women. 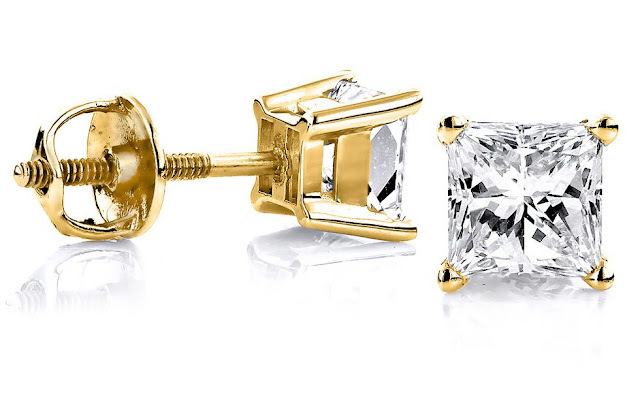 Men often prefer studs or small hoops, they may wear one earring, two or more depending on the individual’s tastes. Children now get their ears pierced often at a very young age, even sometimes as babies. Women may have anywhere from one set of holes to piercings right up the ear. 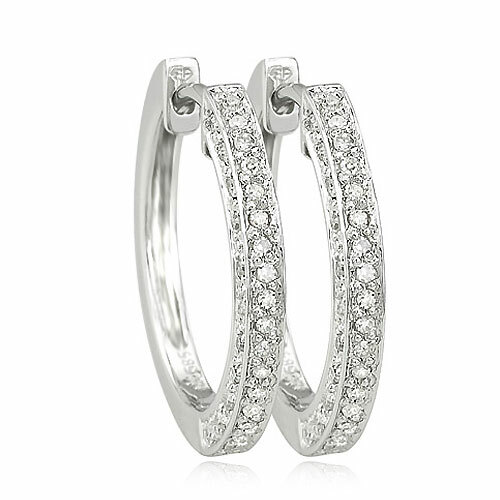 The fashion of earrings has come a long way over the years and its here to stay!! !